CHRISTIAN LEUPRECHT, Royal Military College of Canada and Queen’s University. The application of Social Network Analysis to problems of national security and public safety has been growing exponentially. This talk will draw on some of the presenter’s recent work in the field to demonstrate how SNA can help us grasp the genesis, structure and organization of illicit networks and its tactical, operational and strategic implications to deter, detect, dismantle and dis-incent illicit networks. Of particular interest in this presentation are border effects on illicit networks: the markets of opportunity and transaction costs that boundaries and borders offer and impose, how they entice illicit networks to cross boundaries, and the enforcement and policy mechanisms to counteract the diffusion of illicit networks across borders. 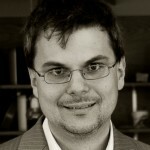 Christian Leuprecht is Associate Dean at the Faculty of Arts, Associate Professor at the Department of Political Science, and cross-appointed to the Department of Political Studies and School of Policy Studies at Queen’s University where he is a fellow of the Centre for International and Defence Policy as well as the Institute of Intergovernmental Relations.